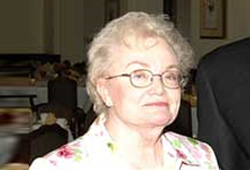 Dr. Mary Lou Applewhite, long-time benefactor and former Development Council Chair, has made a $300,000 gift in the form of a charitable gift annuity to the LSU Foundation that names the College of Basic Sciences as the beneficiary of the fund upon her death. "I recently put the steps in motion to create this gift for the college," said Applewhite, a 1951 graduate who went on to the medical school in New Orleans and has practiced dermatology in the state for approximately 40 years. "This is a great way for alumni and friends of the college, regardless of age, to help the University without putting themselves in a financial bind. More of our alumni should consider this option as the return rates are competitive as an investment and the benefits to LSU are wonderful. I recommend anyone interested in making such a gift contact the Foundation." The Annuity Trust program is administered by Gwen Fairchild, Director of Planned Giving for the LSU Foundation. "These charitable gift annuities are very popular. There were two when I started and now we have 11," said Fairchild. The Annuity allows the donor to make the gift to the Foundation who then makes payments to the donor for a set term, usually the remainder of his or her life, and then the proceeds revert to the beneficiary organization, in this case Basic Sciences via the LSU Foundation. For more information on this and other forms of giving, check out the LSU Foundation Web site at www.lsufoundation.org.